The National Baseball Hall of Fame, who pushed for the 2014 National Baseball Hall of Fame Commemorative Coin Program, announced on Wednesday that they have partnered with members of Congress to create a commemorative coin program honoring the 75th anniversary of the integration of baseball in 2022. On April 15, 1947, Jackie Robinson debuted for the National League’s Brooklyn Dodgers and on July 5, 1947, Larry Doby integrated the American League with the Cleveland Indians. This past week, Senators Time Scott (R-SC) and Cory Booker (D-NJ) introduced the bill (S. 3239) in the Senate on behalf of the National Baseball Hall of Fame. Next week, Representatives Roger Williams (R-TX) and Cedric Richmond (D-LA) will likely introduce a similar bill in the House of Representatives. S. 3239: A bill to require the Secretary of the Treasury to mint commemorative coins in recognition of the 75th anniversary of the integration of baseball. This bill can be tracked at http://bit.ly/115-S3239. 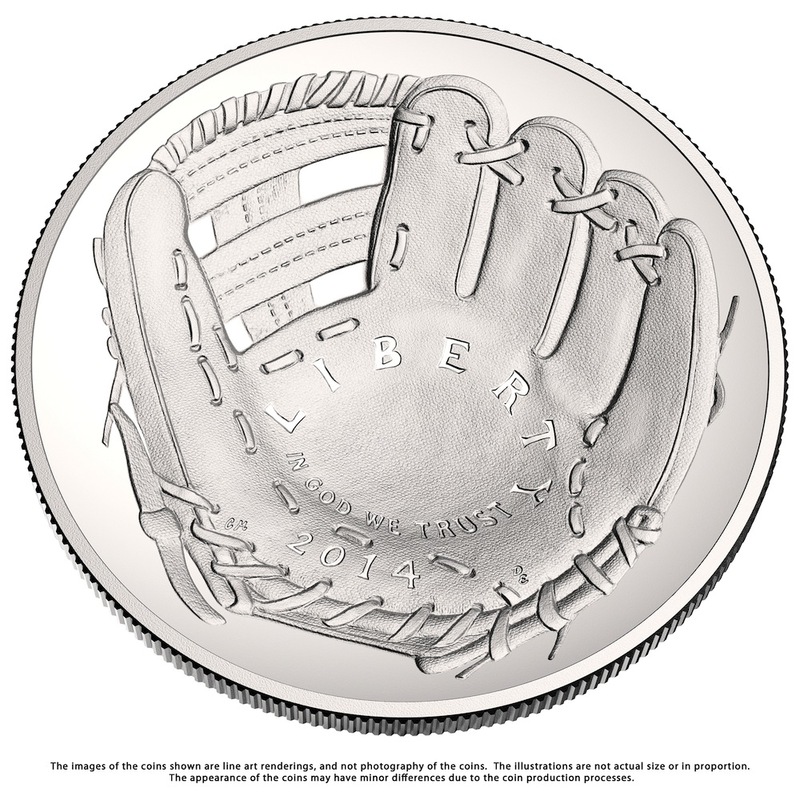 To keep with the theme of making something different, such as the 2014 coins being curved, the bill calls of the new commemorative to be square and the common reverse to resemble a baseball diamond. This should be somewhat easy to accomplish since a real baseball diamond is nothing more than a square tilting on its corner. There will be the usual three-coin program consisting of no more than 50,000 $5 gold coins, 500,000 silver dollars, and 750,000 clad half-dollars. Surcharges received from the sale of the coins will benefit the National Baseball Hall of Fame and Museum and the Jackie Robinson Foundation.